iSuperClean - House Cleaning & Janitorial Services | So You Can Super Live! 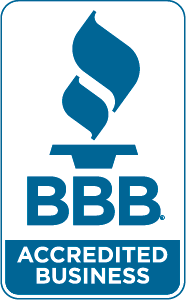 We are proud to announce that we are now apart of the BBB family. The same great service you’d expect only now accredited. The Spring/Summer is here and now is the time to clean your home! Well, we do not say that this is something that you must do now, but we all know that Spring/Summer cleaning is a tradition for many households from all over the world. Moreover, is the perfect period to take care of your domestic environment. Do not you think so?! Spring/Summer cleaning is a thorough, deep cleaning that many home owners do to create a clean and healthy domestic environment. Window cleaning, on the other hand, is an essential part of every seasonal cleaning. And to preserve the shine of your windows, you do not need any chemical solutions, because you can make your own homemade ones. 1. Make a mixture of 2 parts water and 6 tablespoons white vinegar into a clean spray bottle. Shake the bottle to mix the ingredients well. Use this glass cleaner for the general cleaning of your windows and mirrors. 2. You can make more advanced homemade glass cleaners by adding a few extra ingredients to the previous one. For an example, you can make your own glass cleaning solution by combining 1 cup of water, 1 cup of rubbing alcohol and 1 tablespoon of white vinegar into a clean spray bottle. Shake the bottle to mix the ingredients. 3. Last but not least to get rid of stubborn stains on your windows, iSuperClean professionals advise to make a solution of 1 cup of water, 1 tablespoon of ammonia and 1 cup of rubbing alcohol. iSuperClean in mind for your house cleaning needs. The homemade cleaning products have become very popular in the past several years. The people using homemade cleaners can list a lot of reasons for using homemade cleaners from the fact that they are almost absolutely safe and don’t contain any dangerous toxic chemicals to the fact that they are a lot cheaper to create. The only downside of the homemade detergents is that it takes some time to create such cleaners, but once you get the hang of it you will be doing with wasting any time at all. As for their purpose, the homemade detergents have can be used to clean absolutely everything you can think of inside you home from greasy oven to smudged windows to dirty clothes and fabrics. But in order to wash your clothes with homemade cleaning product, you should first learn how to create such. Here is one very effective recipe for liquid homemade laundry detergent. To create you own homemade liquid laundry detergent you should first acquire all the necessary ingredients for you local store as cleaners Bethnal Green recommend. The ingredients themselves are not something special at all. Now grate the bar soap into small bits. Put the grated soap into a pan with 2 cups of water and heat it. While heating the pan add another 4 cups of water but don’t stop stir in the same time. After that put the washing soda and borax to the mix and continue to stir. After the soap dissolved completely you may take the pan of the stove. Now pour the mixture into a container which is filled with a quart of hot water and stir again. Your homemade liquid laundry detergent should have start to get thicker but is still not finished. Cleaners Bexley advise you to add half a litre of cold water to the solution and cover the container with a lid. Now that the homemade liquid laundry detergent is created you can add to the washing machine. The recommend dose is a half of cup homemade liquid laundry detergent with each load. You might also want to add few drops of lemon or levender scent to the liquid laundry detergent to make the clothes smell nice and fresh after each washing. Don’t automatically fill both dispensers in your dishwasher even though the detergent box recommends it. It’s always best to adjust the amount of detergent to the soil level of the load and the hardness of your water. Start by filling each cup halfway, adding a bit more for extra dirty dishes and hard water. Also, using too much detergent can leave a filmy residue on your glasses and flatware. Dirty neck rings around shirt or blouse collars can be removed by putting shampoo on them. Rub the shampoo in like you were washing your hair. Shampoo is specifically made to remove body oils. A cheap bottle of shampoo kept by the washing machine is handy for all kinds of stains in clothing. Don’t forget this trick when you are traveling. Did you know you can schedule your cleaning service on-line? At iSuperClean, we’ve made it easy! Click on the link here and let us help make your life a lot easier: https://isuperclean.com/book-an-appointment-online/. We are a full service house cleaning and janitorial company serving the county of San Diego. Give us a call and let us help you prepare for Thanksgiving. iSuperClean offers house cleaning and business janitorial services throughout the San Diego County. Our service is professional, efficient and affordable. At iSuperClean we believe your time is valuable. With a professional and courteous staff of maids that prides themselves on being super clean our goal is to clean and beautify your house or business while making your life easier and more enjoyable. Adding value to your life and respecting your time is not just a marketing gimmick to us. That’s why we have added online scheduling to our website. Now you can schedule an appointment from the comfort of your home or office any time of the day. You can even schedule appointments from the convenience of some mobile phones. This features allows you to multitask and really save time. It’s that easy, that convenient. House Keeping should be the last thing on your mind, so give us a call! We look forward to adding value to your life while freeing you up to do things you love most.